W. H. Houldershaw, Ltd. With thanks to Bill Snow of Castle Point Council who allowed us to copy this document. 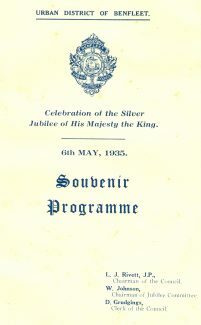 Celebrations for the Silver Jubilee of His Majesty King George V took place on the 6th May, 1935. 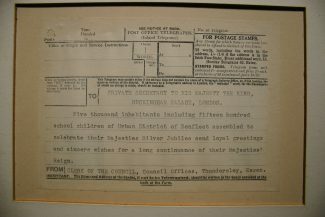 Benfleet Urban District Council’s Jubilee Committee arranged for this day to be commemorated by way of a Pageant and various local events. The brochure contained full details of competitors and groups involved. The Hollywood Estate is mentioned in the brochure as being the place where the procession would arrive for the 3.pm start. 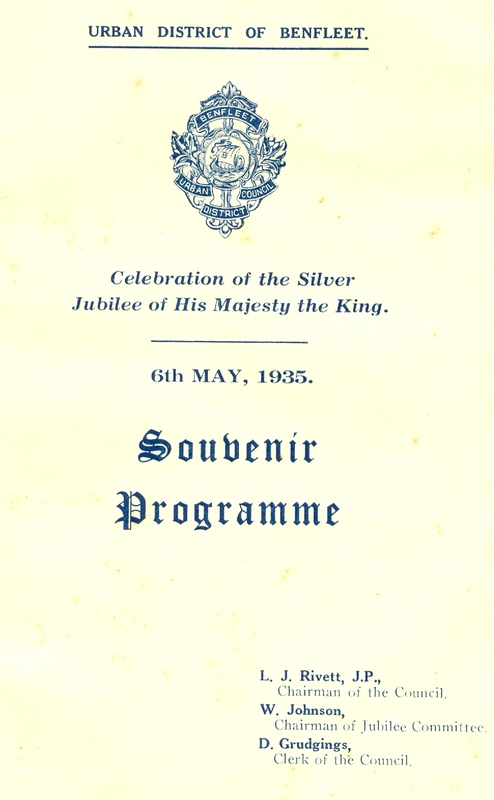 There was an inter-school sports event held on the South Benfleet Playing Field, a parade of competitors and a pageant illustrative of the reign of His Majesty after which the programme of events began. Many local organisations were involved in the display that preceeded the Civic Ceremony. ‘Land of Hope and Glory’ was sung and was conducted by A H Freeman, Headmaster of South Benfleet Council Schools. 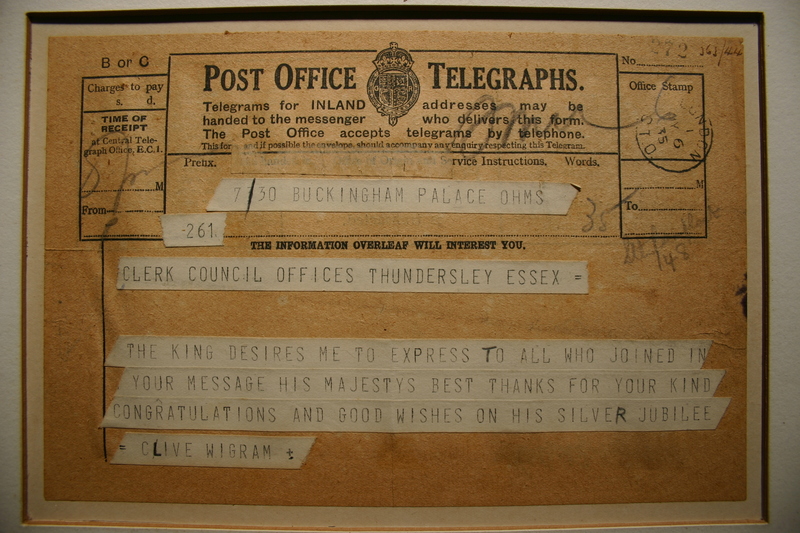 This was followed by the reading of a telegram conveying loyal greetings from the assembly and despatched to His Majesty the King. A religious service followed, given by The Rev. 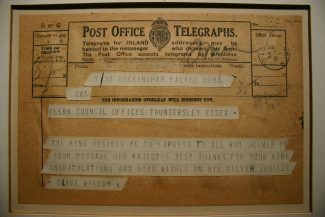 E A. Maley, M.A., Rector of Thundersley. A notice on this page of the brochure states ‘As nothing will be announced, it is requested that silence will be kept throughout the Service and all will join in the singing’. A Royal Salute was fired by the 340th Field (How.) Battery, R.A., T.A. Grays, followed by a March Past. 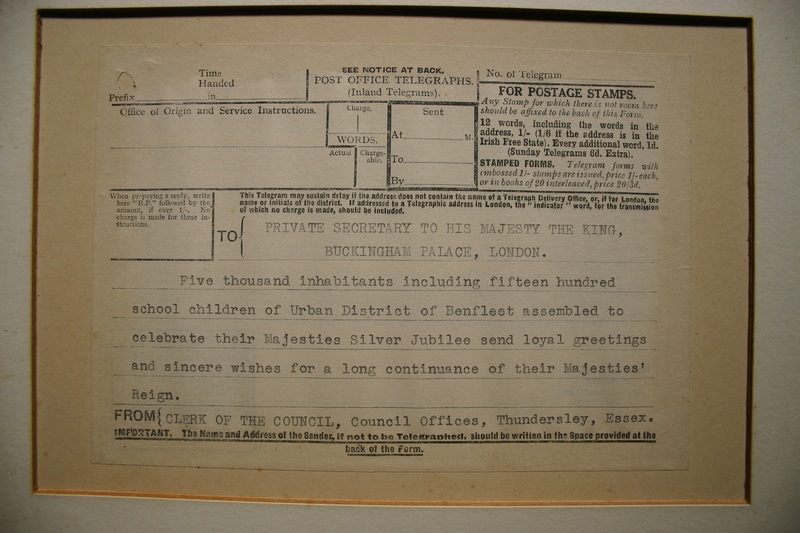 The brochure states ‘War medals and decorations to be worn’. A commemorative medal was presented to each child residing within the Urban District. If anyone reading this article has photos of the event or photos of local street parties that we can add to this site, please contact us via the comment area below.